In late 1986, a distinctive natural sound hit the pop charts during an era of highly produced music. It was organic and lyrical. It was a piano-driven album, The Way It Is, by Bruce Hornsby and The Range. 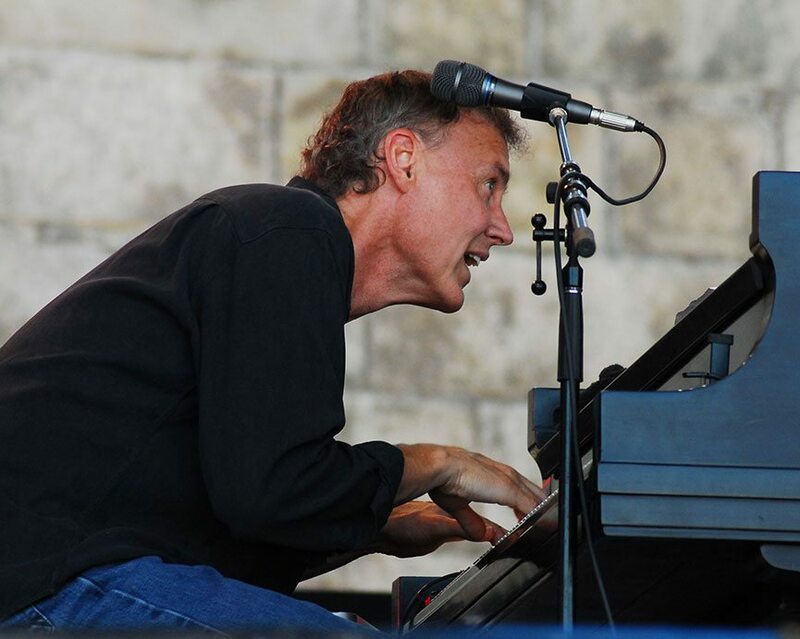 Every ticket to Bruce Hornsby’s April 18 performance in Reynolds Hall includes a copy of Solo Concerts, his new 2-CD live album. Three smash hits came from the band’s first release, including the self-titled single “The Way It Is,” the wistful “Mandolin Rain” and the upbeat “Every Little Kiss.” The album even garnered a 1986 Grammy® Award for Best New Artist. Hornsby later won two more Grammy® Awards, including 1989’s Best Bluegrass Recording for his work with The Nitty Grittty Dirt Band and 1993’s Best Pop Instrumental for “Barcelona Mona,” which was written with The Smith Center alum Branford Marsalis for the Barcelona Olympics. Originally from Virginia – the state he is still associated with – Hornsby’s early musical training included studying at the University of Richmond, Berklee College of Music and the University of Miami, from which he graduated in 1977. Bruce Hornsby plays on two tracks from local superstar Brandon Flower’s second solo album, The Desired Effect (due out May 18). Hornsby has long been known for collaborating with other artists including Branford Marsalis, Phil Collins, Bob Dylan and Stevie Nicks – plus The Smith Center alums Pat Metheny, Bela Fleck and Sheena Easton. One of Hornsby’s most fruitful and longstanding collaborations is with The Grateful Dead. He played with the legendary rock band for more than 100 shows from the late 1980s to the early 1990s. After the death of leader Jerry Garcia, Hornsby continued to collaborate with other members of the band in successive outfits including Ratdog, The Other Ones and The Dead. This summer, Hornsby is participating in Fare Thee Well: Celebrating 50 Years of Grateful Dead, a Chicago music festival uniting the remaining members of band for the final time. In recent years, Hornsby has further expanded his musical palette. His new release, Solo Concerts, features 21 tracks culled from Hornsby solo concerts performed during 2013 and 2012. They fuse together a wide variety of musical heritages including American roots, folk-pop, film composing and modern classical.